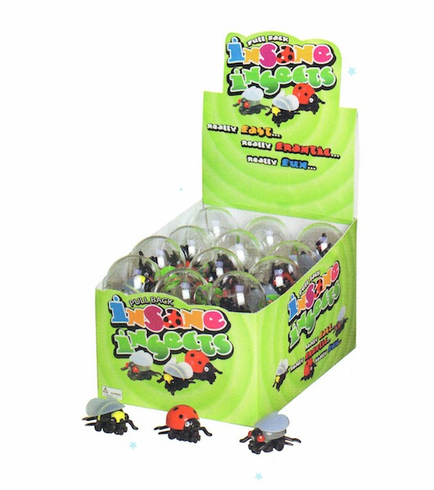 Each Insane Insect comes in it's own plastic egg! Just put them on a flat surface, pull back, and watch them go! Really Fast, Really Frantic, Really Fun! Available in Ladybug, Bee & Fly. Insects have to be pulled back to run forward. Comes in assorted colors. Price per insect.